Sanitation practices like hand-washing and use of a latrine are essential to keep children healthy. Poor sanitation may result in increased incidence of disease which can lead to poor school attendance and performance. Schools are a good entry point to teach or to enforce to children the importance of these practices in order that they stay healthy and ready to learn. Appropriate facilities for defecation and handwashing are crucial to ensure clean and healthy practices are happening. Unfortunately, many rural schools do not have latrines on hand, nor running water or soap for hand-washing. 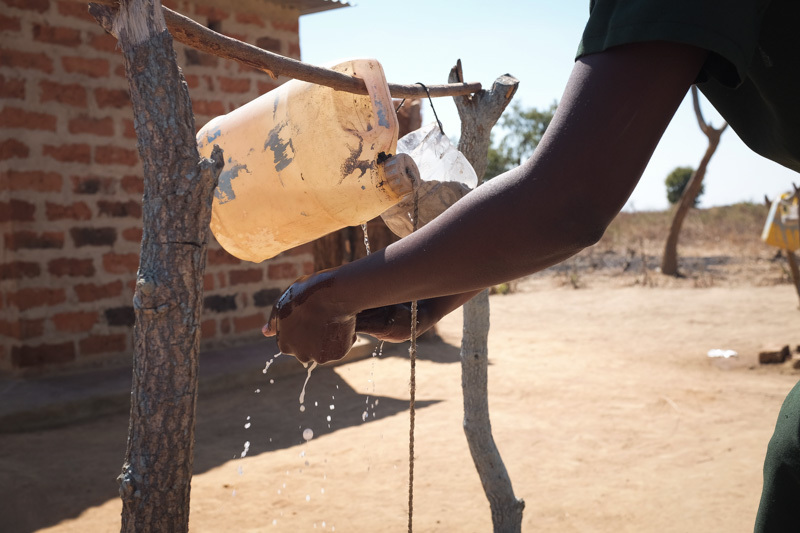 Akros works with the Government of Zambia to build latrines at schools, as well as promote hand-washing practices through School Led Total Sanitation (SLTS). Akros has worked with target schools and their communities to build 853 latrines serving 141 schools with many more planned for construction this year. Targeted schools and their communities have been eager to participate in the latrine construction projects and have enthusiastically provided necessary bricks for construction. 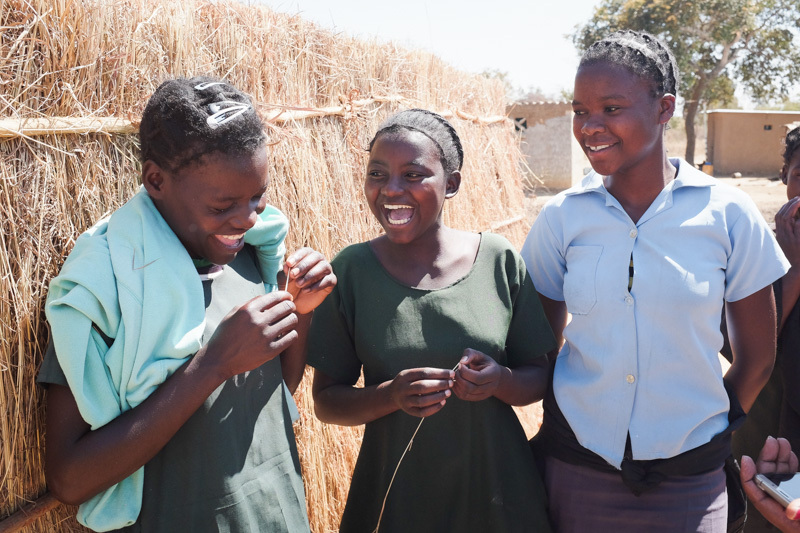 Further, SLTS has been supported and rolled out in schools across 17 districts across Zambia. Through SLTS, and in-conjunction with CLTS, data are collected by community members each month through a mobile to web interface. These data identify areas of weakness in the practice of hand washing at schools. As these data are shared amongst the chief, local leaders and head teachers, they are able to intervene and identify any barriers in achieving improved sanitation at schools. As we support the government towards improved sanitation practices, Akros is assisting to create a healthy and safe learning environment, and helping children to develop life skills around health and hygiene that will benefit family and community members. Captions: Above: A student uses a “tippy tap” – a simple solution to handwashing that can make a big difference in sanitation standards. 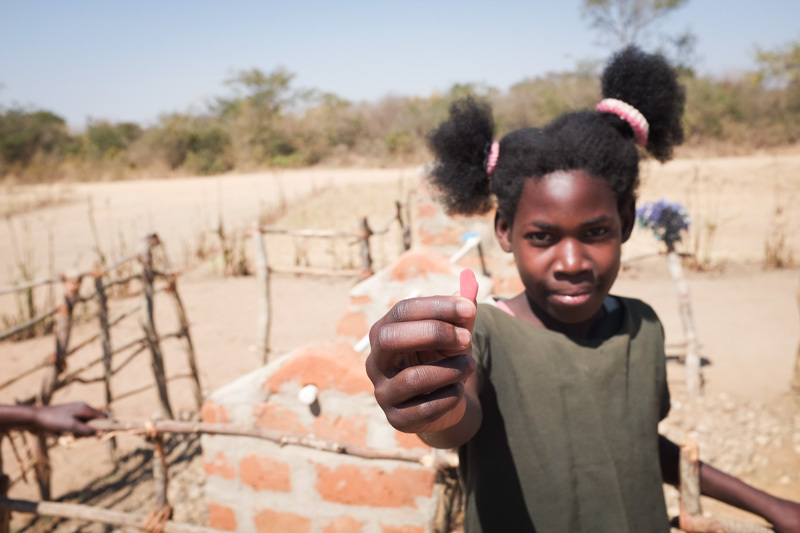 Below: A student shows the small piece of soap she keeps with her to wash her hands at her school’s new hand-washing facilities.